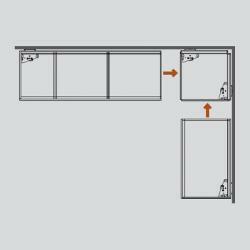 These innovative corner worktop lifts make full use of the available space, allowing you to create a completely bespoke worktop lift with differing side lengths if required. 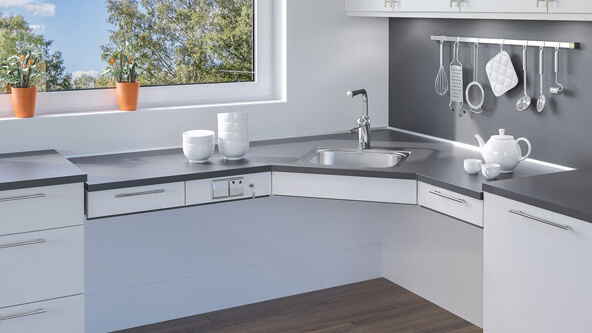 Fully electric, we supply both wall and floor mounted systems, with models suitable for installing kitchen sinks, hobs and drawers. 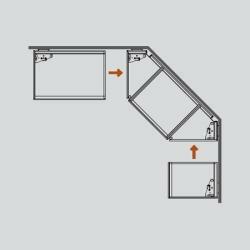 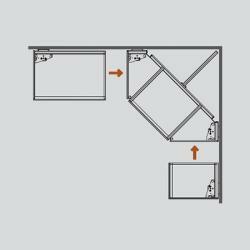 To begin, please select from the options below, based on the shape of the room being adapted.